Back from vacation and ready to tackle the news that has been coming across my desk from around the country. Everyone has been asking about Electronic Visit Verification. Is it true that it will soon be mandatory? We looked into it and decided to explore all of the post-acute pertinent paragraphs of the "21st Century CURES Act." Be sure to open that article for information about a free seminar on the new law, which you can attend in person (Washington DC) or online. In other news this week, three familiar software vendors have big announcements. Open our Vendor Watch column to read about a new executive and a major product version release. The third announcement we found important enough to pull out of Vendor Watch and give it its own headline. CellTrak has landed the support of a major investor, giving it the breathing room to make major product enhancements. This is usually a quiet time of year when many of you are traveling to campgrounds or amusement parks instead of Healthcare at Home conferences. But this year there are some important ones in July and August to tell you about. Maybe I'll see you at one of them. I am especially excited about my presentation in Hartford. I am honored to be teaming up with Arnie Cisneros and Michael McGowan to talk about strategies for winning hospital and ACO preferred partnerships. We have put together a comprehensive message, including a proven process for beating your competitors to the ACO finish line. I hope to see you in Hartford. 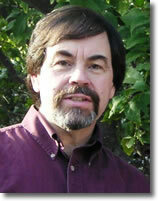 One last personal note of thanks to you who went online and purchased the book I co-wrote with Roger McManus. 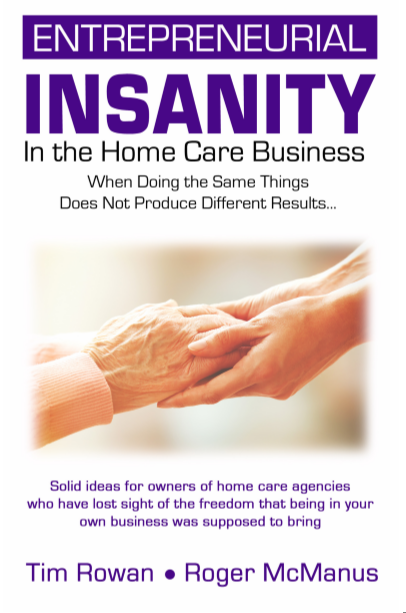 "Entrepreneurial Insanity in the Home Care Business" offers essential instruction and inspiration for agency owners. It helps you sharpen your vision of why you became a business owner and define your goal, whether you want to eventually sell the business or retire with it. Click the book cover to order your own copy. Have a great week. Keep making a difference! And don't forget my $5 coupon (KH54XYT9) if you order my book here. The 21st Century CURES Act, passed and signed into law in December, 2016, is a far-reaching law that touches Healthcare at Home providers and their tech vendors in a number of places, including interoperability requirements and mandatory EVV. CEO says investment to be used to expand delivery management solution. — Optima Healthcare Solutions continues its rapid expansion with the appointment of a high-powered CIO. — Complia Health acquired Suncoast Solutions one year ago and immediately invested in completing work on version 8 of the popular hospice software system. The long-awaited upgrade was released last month. In a panel discussion aptly titled "Exceptional Partnering with Health Systems," post acute executives declared that it is strategy as much as 5-star ratings that wins preferred partnerships. As of this date, approximately 26,235,000 Baby Boomers have become Medicare eligible.